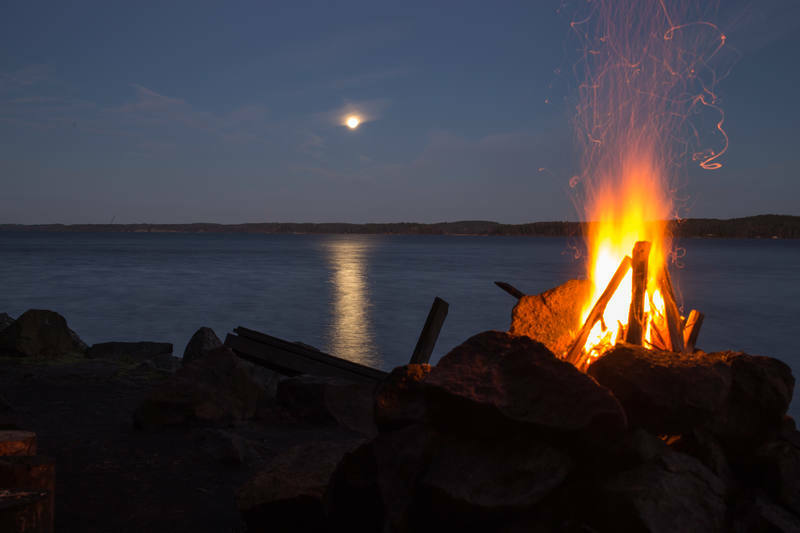 Karkali Strict Nature Reserve is located at the end of Cape Karkalinniemi, which projects far out into Lake Lohja. Karkali is famous for its large hazel groves, impressive linden forests and rare plants. Eleven rare orchid species grow in the area, including the Red Helleborine (Cephalanthera rubra) and the Bird’s-Nest Orchid (Neottia nidus-avis). The area is an ideal destination for an enjoyable day trip, especially in the spring, when the anemones and other spring flowers are glorious. In late spring and summer, the leaves of the common hazels (Corylus avellana) form a canopy over the trail. Most of the trail runs through the forest, but there are also sections which follow the shoreline, passing over rocks and through a meadow into the forest. N.B. Participants are advised to wear comfortable clothing and hiking boots. Depart Helsinki for Ķarkali in the morning. Bus ride will take approx. 1.5 hours. Visit Torhola Cave. It is a 500 m walk to the cave from the car park. Torhola Cave is the largest limestone cave in Finland and about 30 m deep. Picnic lunch. We will visit a natural spring that is used by locals and the many visitors to Karkali for drinking water. There is a beautiful meadow where the grass is cut once a year to keep the area open and favourable for the many flowering plants, butterflies and other insects found here. Return to the bus and continue to the Kettukallion Elämystila homestead, approx. 13 km (approx. 20 min. drive). 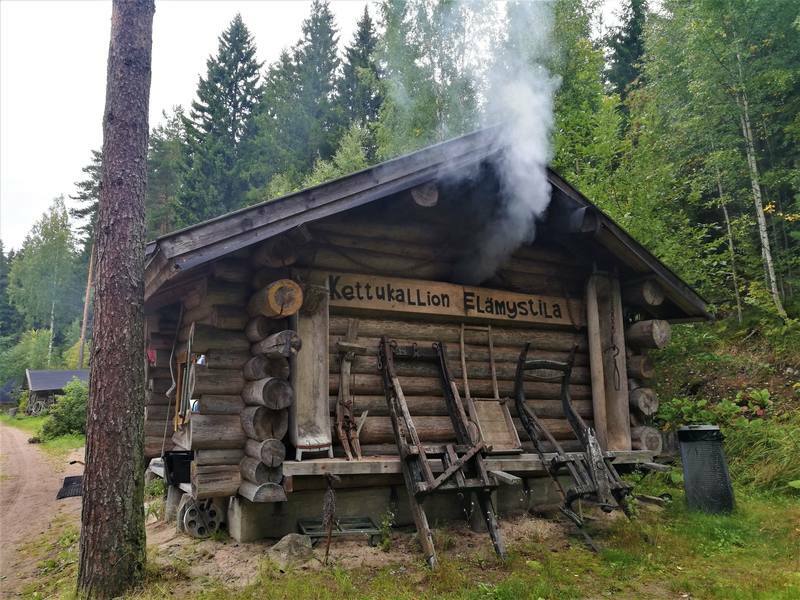 Traditional Finnish smoke sauna. 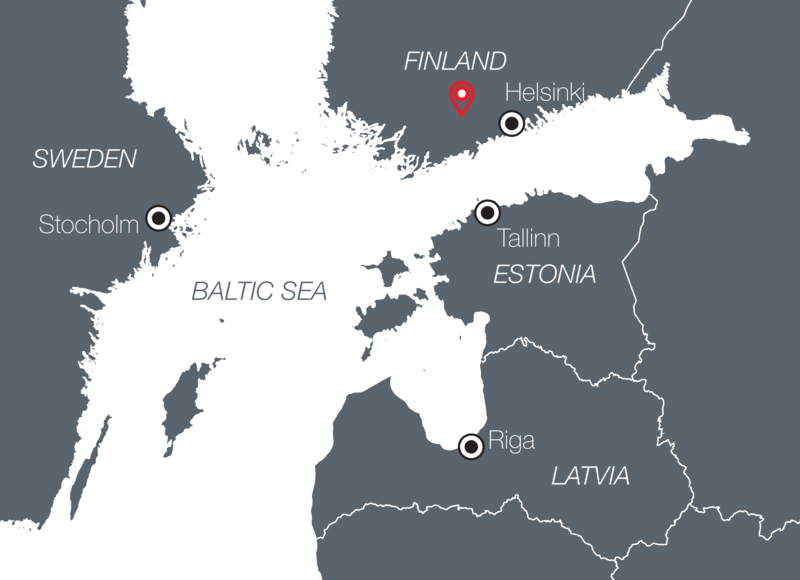 Finland’s everyday saunas were developed from the smoke sauna. Next to the smoke sauna is a hot tub in which guests can sit and relax while listening to the sounds of nature. Duration of sauna session approx. 2 hours. Light evening meal after the sauna: Karelian pies with egg butter. These are served in a warm room next to the smoke sauna.